Achoo, sniff, wipe. My nose is driving me crazy! Rub, rub, tears. My eyes won't stop itching! This was how my days would go by. My allergies were driving me crazy. All I wanted was relief. I was so miserable and it seemed like I would suffer like this forever. 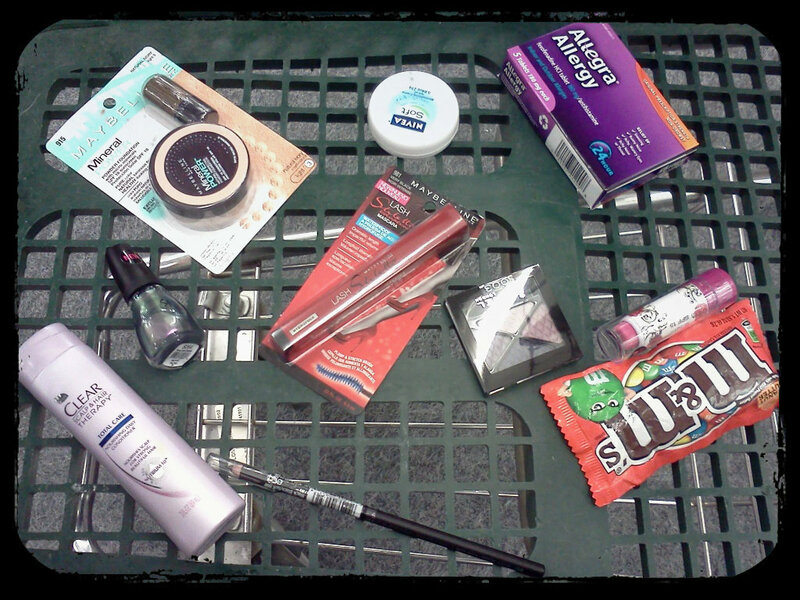 I was excited to go shopping at CVS to buy some Allegra Allergy and some beauty products. Even though I wasn't feeling the greatest I had high hopes that Allegra would help me! 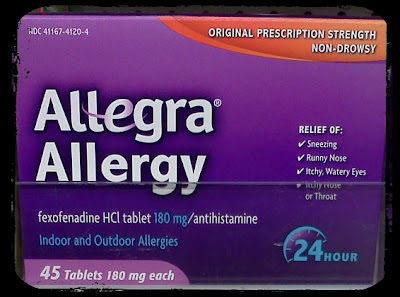 My first stop was the allergy aisle to grab a box of Allegra Allergy. I went on to do some beauty shopping in CVS and picked out some great products, you can read all about my shopping experience on my Google+ story. Here is a picture of my shopping cart. This is my before Allegra picture, I am so embarrassed but I have to show you. Warning the image you are about to see may be startling to some, please be warned this can scare your children! Everything changed when I was able to take Allegra Allergy. Relief! 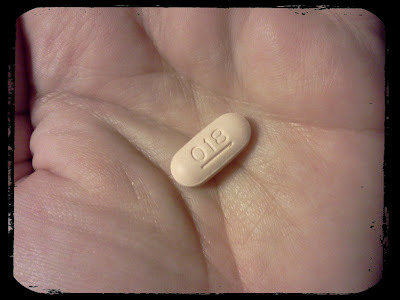 All I took was one little pill and in about 15 minutes I was no longer sneezing, sniffing or rubbing my eyes. I was so happy I could do a happy dance! Within a couple days I was feeling so good! I hadn't done my hair, makeup or nails in a couple of months. I was feeling good and ready to show it! Allegra Allergy lasts 24 hours so all I only needed to take one pill, once a day. I finally cleaned up my eyebrows, put on some makeup and let my hair down. 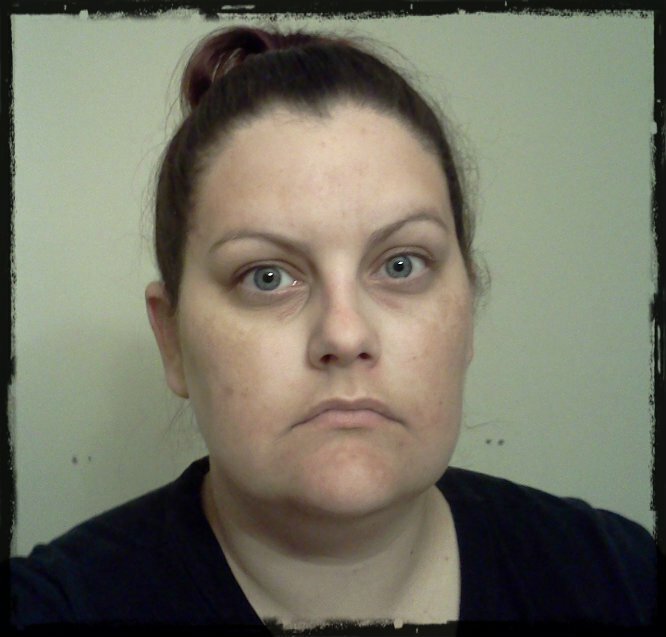 Here is my after picture. 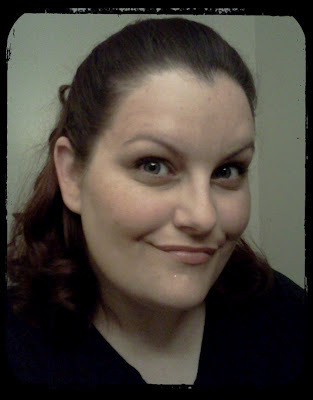 I was a little sassy in that photo, all I did was put on some mineral powder foundation, some eye-shadow, eyeliner and mascara. I finished it off with my juicy lip balm. 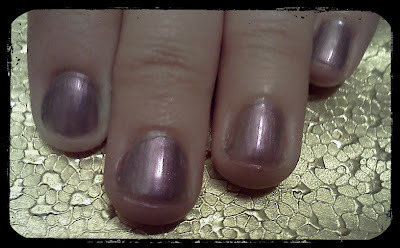 And since I was feeling so good I decided to use my new nail polish, here are my nails. I am actually looking forward to waking up and enjoying my day, thanks to Allegra Allergy! While shopping at CVS I picked up a 5 count box of Allegra Allergy, some beauty products that were on sale and my entire purchase was about $25. For the rest of May you can purchase a 30 count package of Allegra for only $17.99 with your CVS card. If you would like more information about Allegra Allergy or other Allegra products visit the Allegra website. You can also follow Allegra on Twitter and become an Allegra Facebook fan. If you are looking for something different go look at the Allergan Makeover.